The moment comes along once every 100 years. 3.14.15, 9.26.53. What better moment in time to open a place that sells pie? 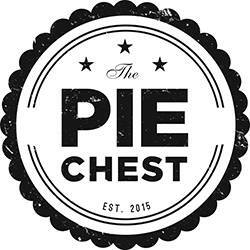 The Pie Chest is the latest creation of Will Richey, a man who seems to have a knack for creating great restaurants. First he revamped Revolutionary Soup, next he created The Whiskey Jar, and then, his greatest work,The Alley Light, a James Beard semifinalist for best new restaurant in the country. Richey’s latest creation he considers an offshoot of the baking program at The Whiskey Jar, where pastry chef Rachel Pennington has developed a cult following for pies, biscuits, and other creations. Demand for her creations grew so large that Richey decided they needed their own showcase. Thus, The Pie Chest, featuring “classic pies with a twist” – savory, sweet, and breakfast. “Some people call them pie safes but my family has always called them pie chests,” said Richey. “It is that piece of folk furniture with the decorative punched tin panels where one would set pies to cool. The image represents a lot of what we are doing.” Customers can eat in, take their pies to go, order by the slice, or order whole pies in advance for holidays and other events. “We are a space our grandmas would be proud to enjoy a slice of pie and a good cup of coffee,” said Richey. Opening tomorrow at Pi at 119 4th St. NE, next to Daedalus Bookshop.